Southwest Ultra Clear specializes in cleaning chandeliers of all sizes, all types (brass, iron, glass, crystal), and at any wall or ceiling height for both residential and commercial properties. At Southwest Ultra Clear, we have over 20 years of experience with chandelier treatment in both commercial and residential properties. Revive the brilliance of your chandelier and contact us today for expert chandelier cleaning. If your chandelier is looking a bit dreary and its normal beauty and brilliance faded, it is time for a thorough professional cleaning. Although you may be tempted to undertake a do-it-yourself project, cleaning a chandelier is not as simple as it seems. These delicate fixtures are built with multiple parts such as floating prisms, electrical wiring, light bulbs & receptacles, candelabra, and frame. Frames are made of various materials such as glass, crystal, bronze, brass, iron, silver or etc; each unique material requires specialized cleaning agents. 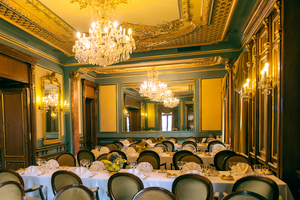 Fixtures include lightweight single tiers with lights and drops to those that weigh several hundred pounds and need professional chandelier cleaning techniques and specialized equipment to prevent damage. Each piece is treated with a safe, non-abrasive cleanser that removes discoloration. We also use agents such as special chandelier cleaners or simple soap and water to remove dust and grime. We never use harsh agents that could damage any of your chandeliers. Our Las Vegas window cleaning company ensures that all metals are treated with a product specific to that material, such as brass cleaner for brass parts. The frame is thoroughly cleaned inside and out. After cleaning, each piece is dried to avoid water spots on crystals or moisture around electrical receptacles. We clean ceiling fans of all shapes and sizes for both residential and commercial properties. 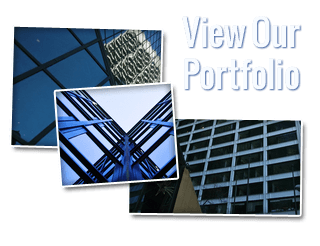 Since they are often difficult to reach, we can provide an experienced contractor to come to your home or office and efficiently clean each fan. You’ll like how your newly polished fan will look! Like chandeliers, ceiling fans collect dust, cobwebs, and allergens. They also distribute these same elements into the air creating an unhealthy environment. Whether it’s your home or your office, it’s a good idea to have your ceiling fans routinely cleaned which keeps them looking great while keeping the air clean. 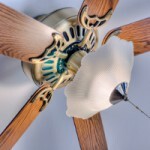 Another advantage of routine cleaning is that it keeps your ceiling fan working properly which will extend its life. Dust buildup hinders your fan from working at optimum capacity. We clean out all the dust from all your fan’s working parts, polish the up the fans, lights, bulbs, bulb casing, and other parts, and get it to running at peak performance. 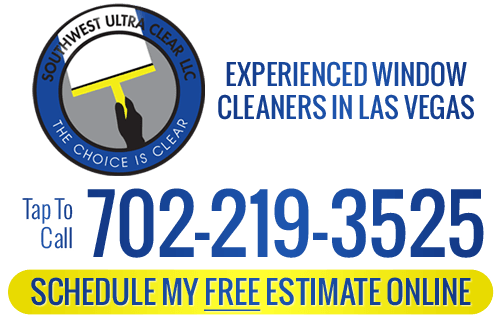 If you are looking for professional chandelier cleaning or ceiling fan cleaning in Las Vegas, then contact Southwest Ultra Clear. Call us at 702-219-3525 or complete our online request form.